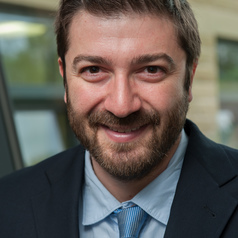 Dr Alexandros Nikitas joined the Department of Logistics, Operations, Hospitality and Marketing in May 2015. He is delivering some of the key transport modules offered by the Business School and conducting research in the areas of the societal importance of urban transportation, sustainable transport policy, shared use mobility and vehicle automation. Dr Nikitas has an MEng in (Civil) Engineering (University of Durham, 2002), an MSc in Transport, Planning and Engineering (Edinburgh Napier University, 2006), an MA in Applied Social Research in Built Environment with Merit (UWE, 2009) and finally a PhD in the area of Transport and Society (UWE, 2010). His PhD Thesis 'Understanding the Attitudes of Older People to Road Pricing' has received two international research excellence awards by prestigious institutions of academia and practice. His prior post was that of a Senior Researcher (and before that Postdoc Researcher) in Urban Futures and Transportation for the Division of Design and Human Factors in Chalmers University of Technology, Gothenburg, Sweden. As part of this role he acted as a research advisor and associate coordinator of the Sino-Swedish programme LIP Shanghai initiated by the Swedish Mistra Urban Futures, which is a premier Swedish Centre for Urban Development. Dr Nikitas has been actively contributing in research bidding, project management, and consortium building for the Horizon 2020 Programme on Smart, Green and Integrated Transport and other esteemed programmes of international or national character while working in Chalmers. Dr Nikitas has served as a lecturer and as a supervisor for undergraduate and postgraduate modules and students respectively, in his academic activities in Greece, UK, Sweden and China (guest in April 2012 at Tongji University's College of Design Innovation, Shanghai). He was also elected a Local Councillor for the city of Drama, Greece with a tenure between 2011 and 2014.